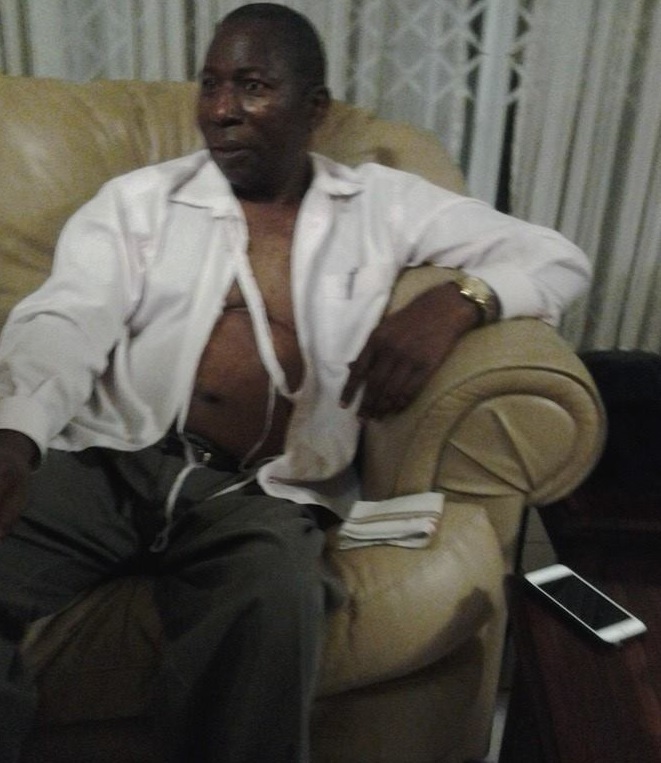 ZIMBABWE – Shades of the violent attack on former MDC-T deputy treasurer Elton Mangoma are swirling around the opposition party’s national executive member and former firebrand student leader Nelson Chamisa as his public spat with former Prime Minister Morgan Tsvangirai reaches its zenith. Tsvangirai, the leader of the country’s biggest opposition party by parliamentary representation for the last 15 years, has reportedly summoned his party’s district chairpersons to an emergence meeting. MDC-T spokesperson Obert Gutu confirmed Tsvangirai will be meeting the party’s lower structures leadership. ”President Morgan Tsvangirai is the chief executive of the party. He has overall responsibility of supervising all organs of the party at all times. This is in tune with the MDC constitution. In the discharge of his duties as the party boss, he will be holding a meeting with all district chairpersons from Harare Province this week,” Gutu said. Following the contentious 2013 elections won by President Robert Mugabe and his Zanu PF party with a crushing two thirds majority at the close of the coalition government that presided over the affairs of the country between 2009 and the elections, all hell broke loose in the MDC-T.
Tsvangirai had served as Prime Minister to Mugabe in the shaky arrangement given the moniker marriage of convenience and Mangoma was appointed to serve as Energy Minister by Tsvangirai. But the career accountant and businessman turned the sword against his master, accusing Tsvangirai of letting the opposition party down and demanding that he stepped down. Tsvangirai refused and after Mangoma had penned a damning letter loaded with all sorts of insinuations and accusation some bordering on the personal, Tsvangirai responded in devastating fashion. The veteran trade unionist called for a meeting of the party’s district chairpersons at which Mangoma was invited. Meanwhile then Secretary General Tendai Biti had thrown his lot with Mangoma and called for Tsvangirai to go. Biti did not attend the crucial indaba but Mangona did and on the fateful Saturday, the former Energy minister was brutally attacked and the die was cast. Mangoma was expelled and he joined hands with Biti to initially create the MDC-Renewal formation before the two broke ranks after another fall-out. After that fall-out Mangoma formed the Renewal Democrats of Zimbabwe (RDZ) while Biti is now President of the People’s Democratic Party (PDP). The convening of a meeting with the MDC-T’s district chairpersons by Tsvangirai is, therefore, a stark reminder to Chamisa who this week was reported to have been on the verge of being sacked. Chamisa’s problems almost boiled over two weeks ago when he reportedly told a rally in his Kuwadzana East constituency that Tsvangirai is seeing shadows. This was after Tsvangirai had addressed a rally in Chitungwiza at which he claimed â€œsome top leaders are working to remove me. According to observers, Chamisa’s role at the burial of the late MDC-T MP for Nkulumani, Thamsanqa Mahlangu, did not go down well with Tsvangirai. After the former premier and other party executive members failed to attend the burial due to internal squabbles, Chamisa appeared to be more organised than his boss as pictures showed him leading mourners. The summoning of the districts chairpersons by Tsvangirai also brings into memory the 2005 first MDC split which occured on 25 October when Welshman Ncube and the late Gibson Sibanda led a group of unhappy members out of the main party.